Antisocial Behavior. People use this term too loosely to describing someone who doesn’t want to be bothered with their foolishness; or who either just like spending time alone. However, who would blame others for liking themselves, spending time to better themselves, for learning to love themselves? 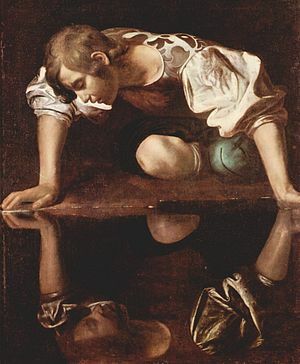 The Narcissistic personality would do that some one who loves to feel superior to others. The bible has a few descriptions of people who are overcome with demonic spirits. Every time we see Jesus some spirit is running into pigs; or the victim of their own thinking is being tormented cutting himself and can’t live among the other people. Most we hear about have bizarre behavior such as being flung into open flames. What is heard most about the prideful spirit are those which sow discord, who lie and who just can’t make it in life without turning the audiences attention to themselves, always have to be front and center, seemingly, full of confidence, but not really. May seem like having confidence or strong self-esteem, it’s not the same. It crosses the border of healthy confidence and self-esteem into thinking so highly of yourself that you put yourself on a pedestal. In contrast, people who have healthy confidence and self-esteem don’t value themselves more than they value others. Also, you may come across as conceited, boastful or pretentious. You often monopolize conversations. You may belittle or look down on people you perceive as inferior. You may have a sense of entitlement. And when you don’t receive the special treatment to which you feel entitled, you may become very impatient or angry. You may insist on having “the best” of everything — the best car, athletic club, medical care or social circles, for instance. Posted on September 14, 2012, in Life, Mental Health, spiritual and tagged Disorders, Exaggeration, Health, Jesus, Mental Health, Narcissistic, Narcissistic personality disorder, Romans 12, Self-esteem, Vanity. Bookmark the permalink. Leave a comment.